For any moment of quiet contemplation, 44 stunning images from a visionary Judaic artist. Like medieval illuminated manuscripts that honor the divine, the celebratory creations of Adam Rhine evoke a sense of sacred wonder and mystery in all who behold them. Unique in both concept and design, this sumptuous book offers inspired art that speaks both to the heart and to the mind. 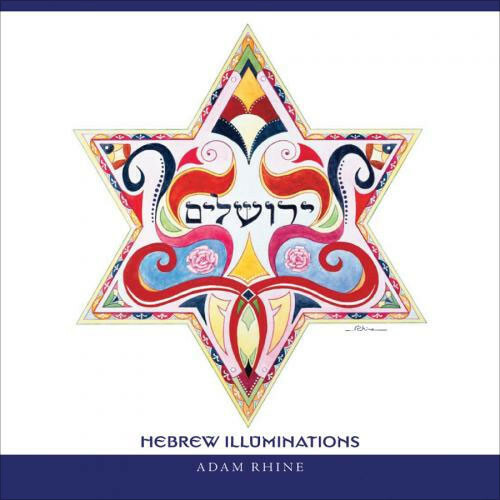 Rhine presents twenty-two traditional Hebrew letters illuminated by watercolors to enhance his striking calligraphic rendering of this ancient language of communication between Hashem—The Higher Name—and the Jewish people. Using Psalm 145 ("Praise the Lord, O My Soul") to provide context, each illumination is accompanied by the artist's meditative reflections that invite us to contemplate the deeper meanings ourselves.